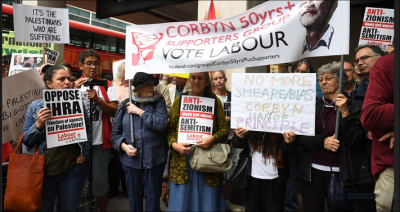 ‘Labour’s failure to adopt the full text of the near universally accepted International Holocaust Remembrance Alliance’s (IHRA) definition of antisemitism, including all its illustrative examples’. When The Canary website published an article about the MRC report, they approached both the Guardian and the BBC for comment. The Guardian‘s response was boilerplate rhetoric – ‘The Guardianhas featured a wide range of voices in this debate’, etc – that failed to acknowledge the paper’s unambiguous distortions and omissions. The BBC did not even provide a comment. ‘It turns out that the billionaires who own the bulk of the British press don’t like us one little bit. ‘We must, and we will, protect the freedom of the press to challenge unaccountable power. ‘Journalists from Turkey to Myanmar and Colombia are being imprisoned, harassed or sometimes killed by authoritarian governments and powerful corporate interests just for doing their job. ‘But here, a free press has far too often meant the freedom to spread lies and half-truths, and to smear the powerless, not take on the powerful. As a further, related example of bias, consider the corporate media’s stunning indifference to the bomb threat that interrupted the screening of a new film, ‘The Political Lynching of Jackie Walker’, in Liverpool on September 25. Walker is a former Momentum Vice-Chair who was suspended from the Labour party as part of a propaganda blitz attempting to silence critics of Israel. The screening was organised by Jewish Voice for Labour which has been supportive of Jeremy Corbyn. Featured image is from Media Lens.